J.T. Rudd’s entry has been sitting in my queue for close to two years now because I hoped that somewhere I’d find out more about his life than his tragic death at his own hands. 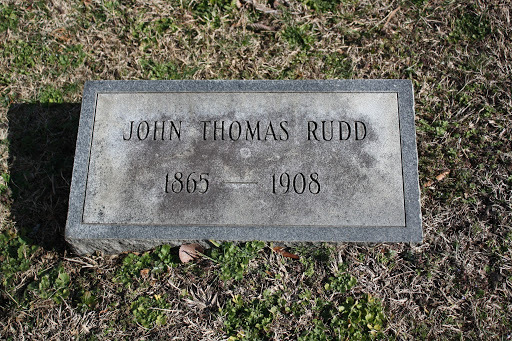 I’ve researched his name intermittently during that time and unfortunately came up with little more than his obituary, which you can read below the photo of his grave marker in Danville’s Green Hill Cemetery. His death notice only gives us a glimpse of how his final days (or weeks or months) played out, although I’m sure that there were many happier memories that were never made public.